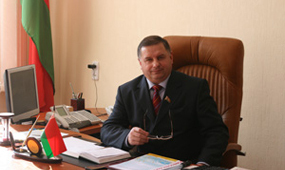 Home - Agricultural complex "Zhdanovichi"
The main activity of agricultural complex " Zhdanovichi"
Since 1998, led by Grigory Petrovich Agrokombinat Chuyko. Permanent leader took over from his predecessors a rich management experience in agriculture and introduced his principles of doing business. Today, the company relies on new technology and expanding. "In today's world to ensure the population access to food is the most important task of the state, since it is directly linked to the food security of the state. It is important not just saturate the market with cheap and affordable food, and to ensure the safety and usefulness of those products for the person who buys it on the market and in the store. food security of the state. It is important not just saturate the market with cheap and affordable food, and to ensure the safety and usefulness of those products for the person who buys it on the market and in the store. Providing high quality products is the main direction of development of agro-industrial complex "Zhdanovichi." It is given close and constant attention. Expansion of the list of products and improve its consumer properties are a particular concern for the team of AIC "Zhdanovichi". Much attention is paid to the welfare of their own employees. We strive to ensure that "Agrokombinat" Zhdanovichi "was a model and modern not only in the production of food for the population, but also on working conditions and the lives of our employees." 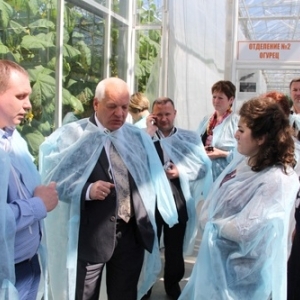 The current Day of workers of agriculture and processing industry of the agroindustrial complex for the team of the Minsk regional unitary enterprise "agricultural complex "Zhdanovichy" special. 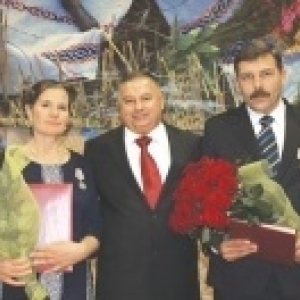 In 2014, the agricultural enterprises was 55 years old. Director General of municipal unitary enterprise "Barcelonista" Paul Paretsky draws attention to the fact that the production of honey is one of the main directions in beekeeping.